My interest in Zack Snyder’s take on Superman continues to grow. The released trailer showed a Superman we aren’t accustomed to on film. Yes, there’s a sense of hope, but it’s clear that it’s a struggle to get there. 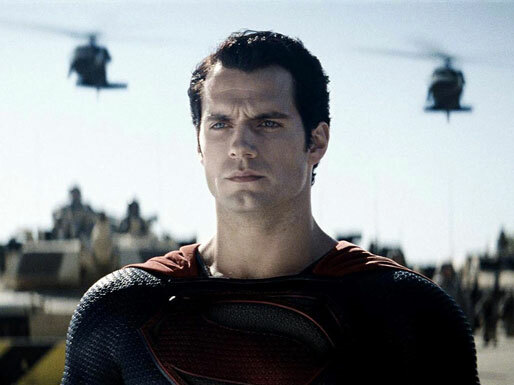 USA Today released a photo of Henry Cavill as the Man of Steel himself. I’m used to a more colorful Superman picture, so the washed-out look is something to get used to. Nevertheless, Cavill conveys the strong determination that Superman is known for. Superman returns to theaters in Man of Steel June 14. I wish Superman wasn’t portrayed as a white guy. I feel like he’d be so much cooler as a darker ethnicity, but then Superman has been white as long as I’ve known him. I mean if someone is going to pull off the whole Clark look then turn around and be a buff guy in a skin tight super hero suit, I’d think it’d be a suave black guy.